Oakland is at a critical juncture. The selection of a new Superintendent provides Oakland the opportunity to move beyond the paralyzing no-charter / pro-charter divide, bringing together the strengths of each sector and bringing back policies once broadly supported. Despite waves of district reform initiatives and a strong charter community, large groups of students remain underserved. Widely touted transformational processes, including charter legislation, have, by and large, not turned around the lowest performing schools. School choice policies, whether district or charter, have not equitably served all students. This is not primarily the result of deliberate exclusion but of lottery lists for high-performing schools rapidly overfilled by students from across the city. This leaves struggling neighborhood schools primarily serving those least able to exercise choice while simultaneously grappling with declining enrollment, transiency and high levels of students with special needs. Deep divides between charter and schools, caused by competition for students and facilities, build upon two additional underlying issues. 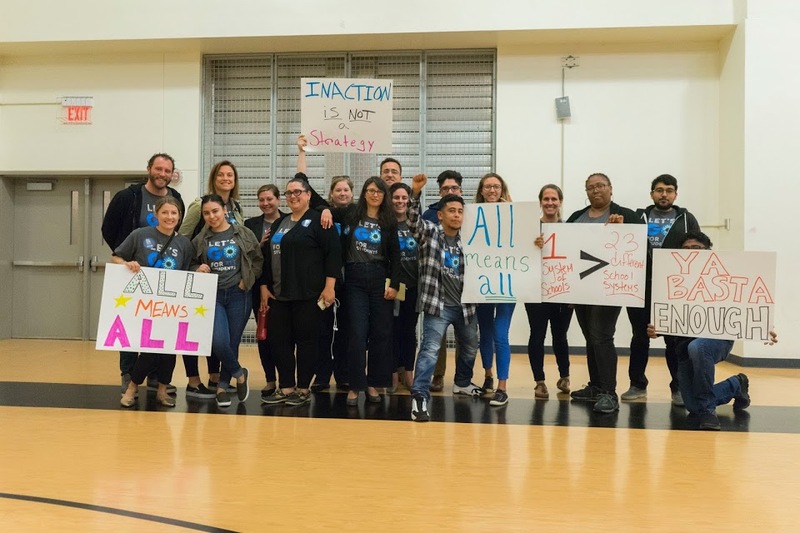 First, distrust of charters is caused by the reticence of some charter leaders to publicly embrace an equity agenda that extends to all Oakland students. While doing focused equity work within their individual schools, many charters have yet to acknowledge that sector growth has disproportionately impacted the highest need students. Charters leaders who do acknowledge this reality struggle to find a way to mitigate the impact. Second, distrust of the district by charter and district innovators results from a history of failed school transformation efforts and weak execution of change initiatives. The erosion of the site autonomy and flexibility once available through the small autonomous schools policies has exacerbated this distrust. Additionally, the stability needed for sustained change is undermined by too many schools competing for talent, facilities, and resources in a challenging fiscal context with bitter district-charter divisions. However, in this moment and with the right leadership, there is room to be optimistic. Oakland is uniquely positioned with the people and experience to find a way forward that acknowledges the real political, economic, and professional tradeoffs involved in coming together. Oakland has deep and nationally recognized experience with charter school development, authorization, and engagement as well as innovative district schools and programs. Perhaps most importantly, there is a deep wealth of committed local educators who work in both systems. To create conditions that foster school transformation, district and charter operators need to re-examine their approach to change. The district must move away from “re-start” initiatives that “blow up” failed schools and then launch high-profile, high urgency transformation processes. In the past, this approach has invited intense public scrutiny (and discord) early on, been long on planning and visioning but short on support for execution and created unrealistic expectations for fast results. The lowest performing Oakland schools have gone through a series of such transformations with little enduring change. On the charter side, it means moving away from the belief that turnaround is not possible and that it is better to start with new schools, new administrators, new staff and a new vision – a “fresh-start.” The charter sector itself has produced uneven “fresh-start” results and has not invested in developing powerful turn-around practices that could be applicable to the district at large. Embracing deliberate incremental change as a path to disruptive results means that the city needs is a more step-by-step approach to change with a focus on implementation and a vision that evolves as trust and success grow. It involves serving existing students with largely existing staff, but with new proven leadership and focused external support. Oakland has a track record of successful transformation in both district and charter schools when carefully done. Embracing their responsibility for quality education of all Oakland children no matter where they are currently educated. Focusing on execution, not policy debates, by framing the work in existing Quality School Development and Diverse Providers Policies and resisting the urge to craft new initiatives. Through shared responsibility, collaboration and incremental success will come the capacity to find solutions to the more difficult issues of autonomy, accountability, facilities, charter growth, and number of schools. Successfully addressing these issues will only happen when all parties accept that charters are a permanent and valuable part of Oakland’s public school ecosystem but that un-managed charter growth creates an instability that impedes addressing Oakland’s most challenging educational issues. Oakland’s answer is here: in our people, our schools and in the policies already in place. We are uniquely positioned to move from charter-district factionalism to focused transformation that leverages all of the educational resources of the city. The Board has an opportunity to select a Superintendent with the vision, experience, and disposition to craft this new way forward. 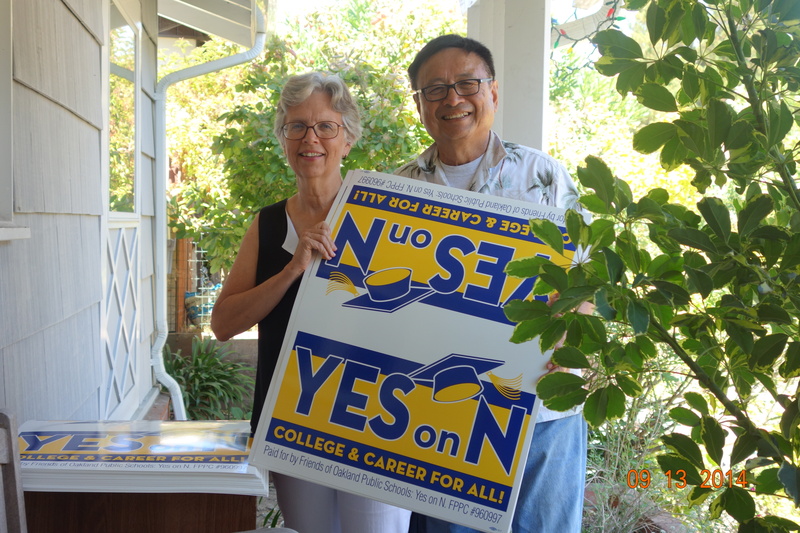 Dr. Gary Yee has been the OUSD Interim Superintendent, Board Chair, Chair of the Measure N Committee, Oakland Principal and Teacher. Dr. Louise Bay Waters is Superintendent of Leadership Public Schools in Oakland, served as the OUSD Associate Superintendent of Student Achievement and led the District’s first New Teacher Support Project. They have a combined 54 years working with Oakland’s public schools.